Community Club members from Brent, Kensington & Chelsea, Hillingdon, Hounslow, and Westminster (plus anyone else who’s willing to travel!) 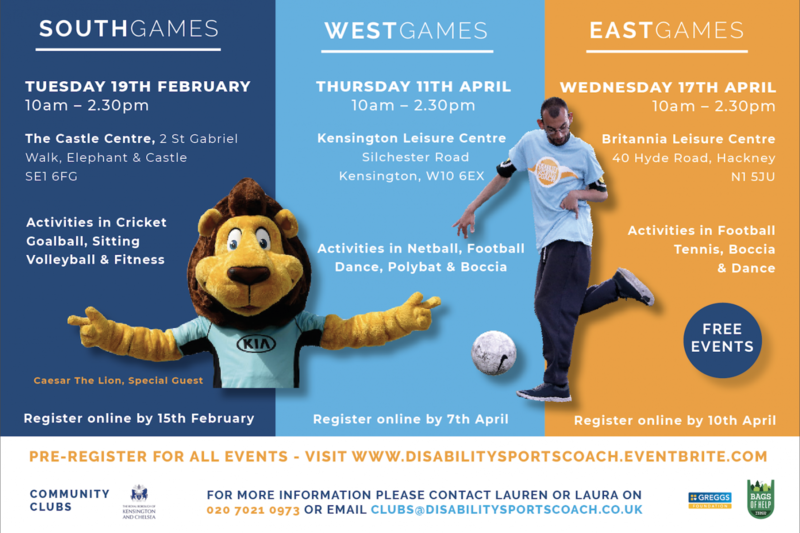 will once again come together on Thursday 11th April 2019, for an action-packed day of sports and friendly competition at Kensington Leisure Centre. This year we will be joined by England Netball showing us some skills, Fulham FC Foundation making their debut to deliver some football activities and The Golf Trust to keep you swinging. 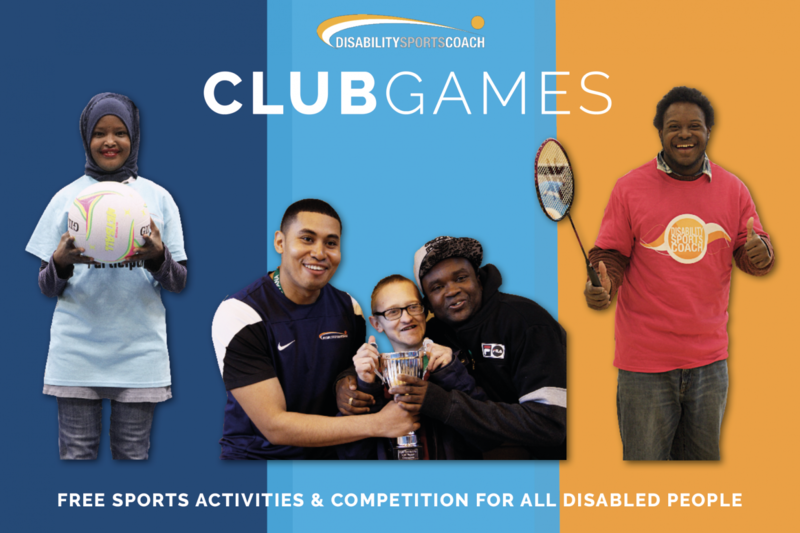 Our very own Disability Sports Coach coaches will be delivering Boccia and Polybat all with some fun and fresh music to keep us dancing on our feet all day long! After your well-earnt Lunch break (note: lunch is not included), England Netball will put you though a friendly competition with other club members. If you would like to attend as a group or for more information, please contact Laura Abrahams on Laura@disabilitysportscoach.co.uk or call 020 7021 0973 in advance. If our WestGames is too far for you to travel, we also have our EastGames also during the Easter Break, so save the date.